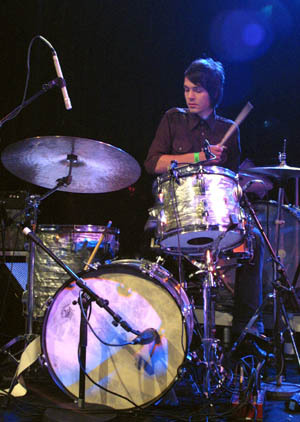 This was the second time I saw this promising upcoming band, - first time being by a coincidence as I went for another band. 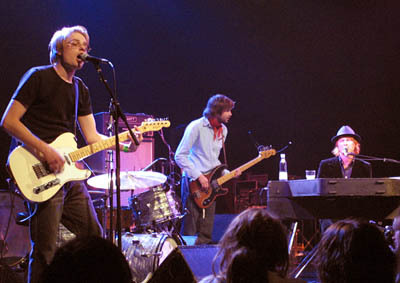 One month earlier I made the PR-photosession with the band (see here) to promote their support job for major Danish band, Saybia. 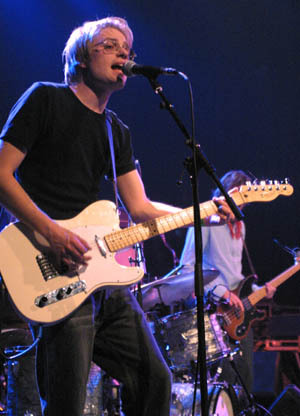 Since July 8th concert in Rust (see here) the guitarist has been replaced by Kasper Sørensen, who did his first performance with Maborosi this night. 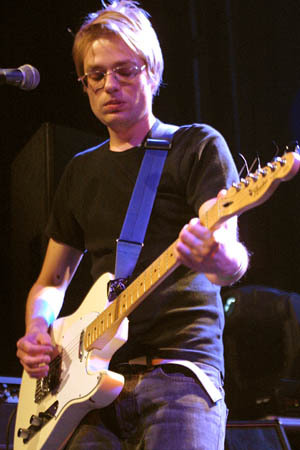 Still being the new boy in the class, he didn't impressed me as much as the former guitarist, who had a strong scene charisma, and played a really powerfull lead guitar. 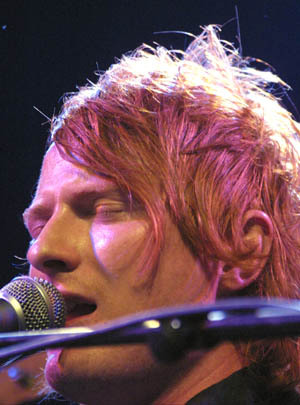 But he just has to get some more stage experience, probably being achieved at this on-going tour with Saybia. 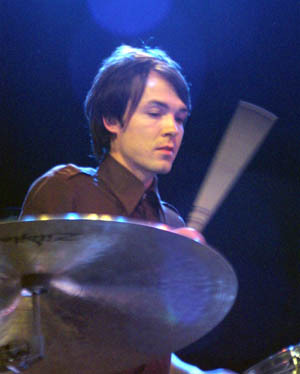 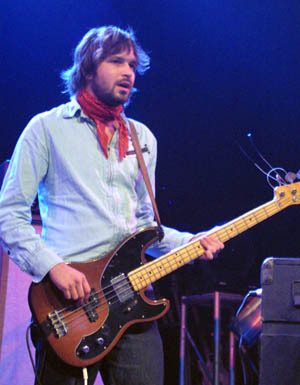 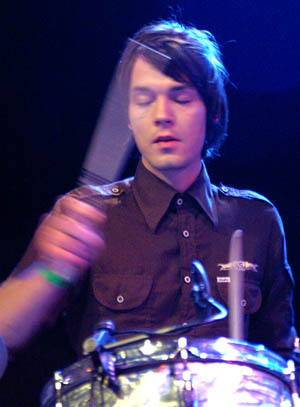 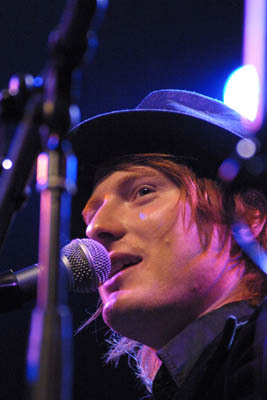 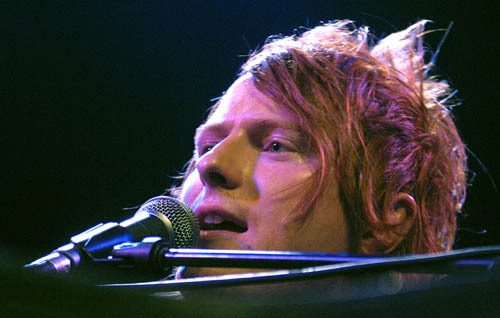 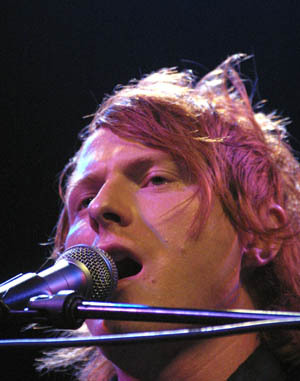 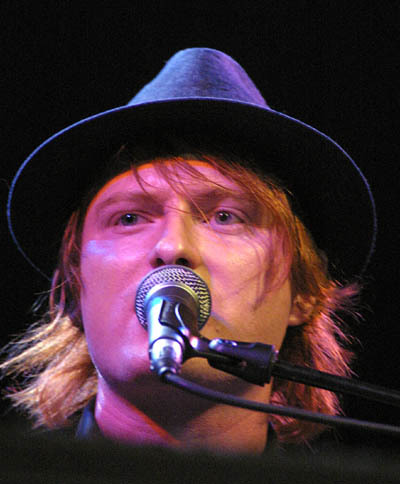 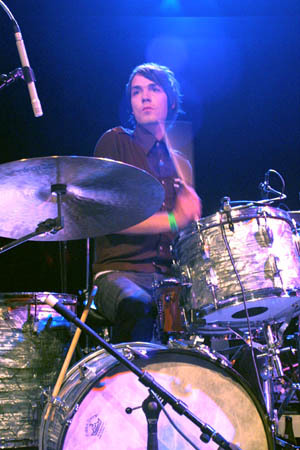 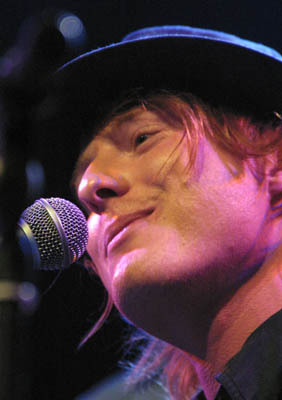 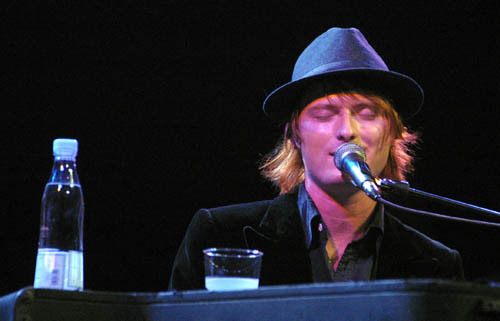 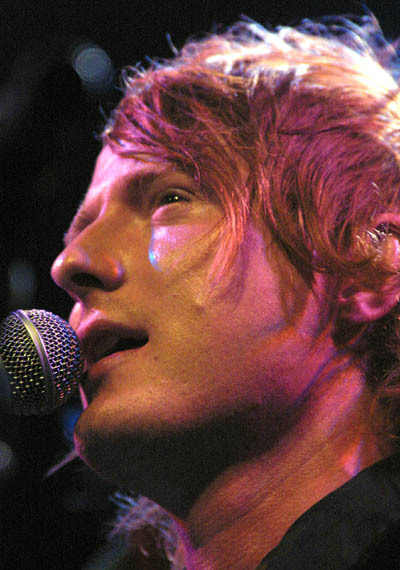 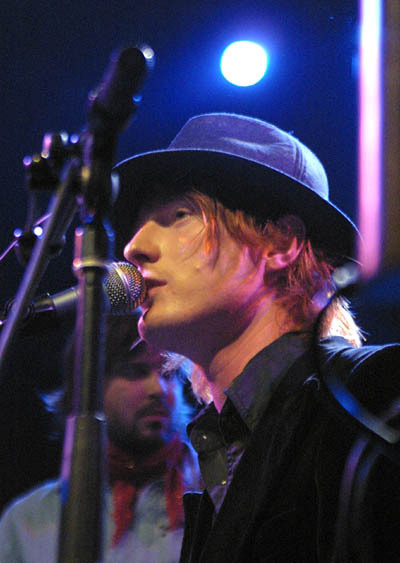 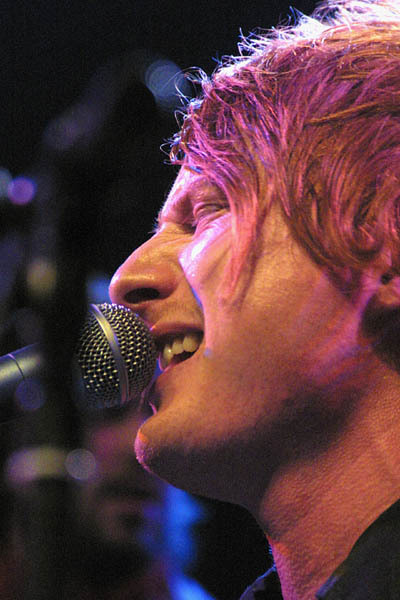 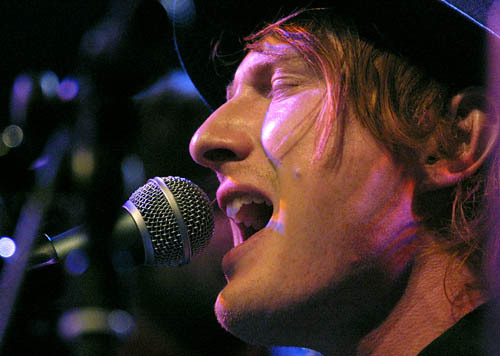 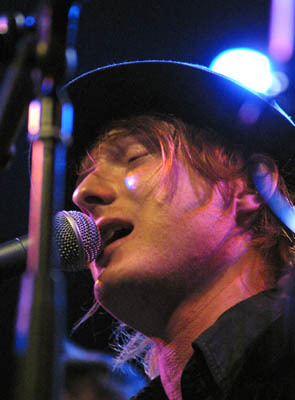 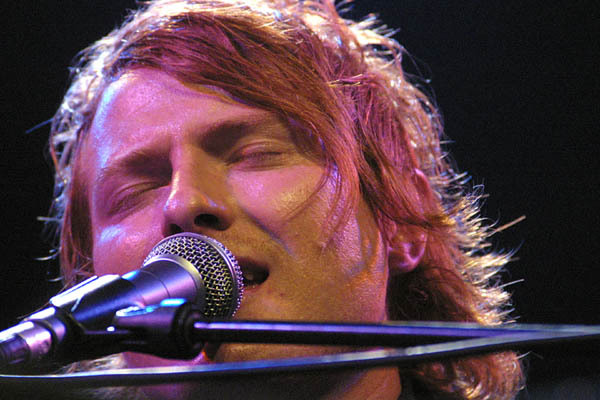 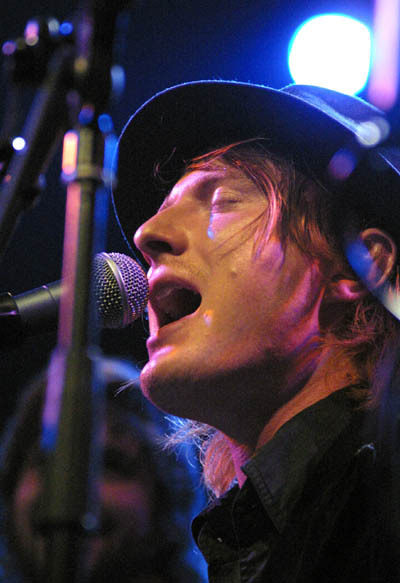 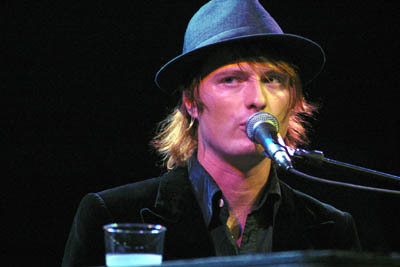 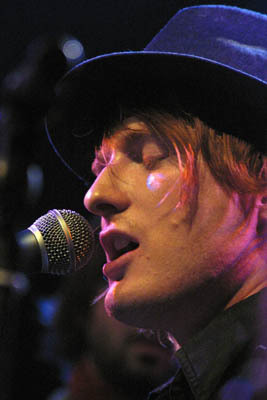 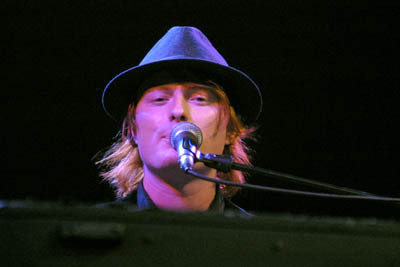 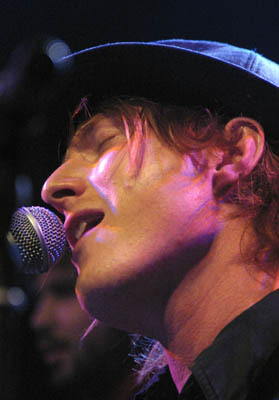 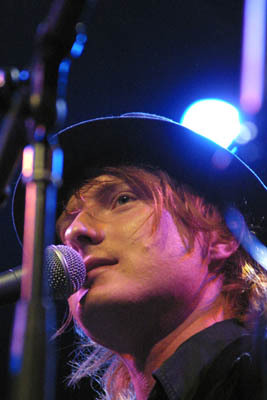 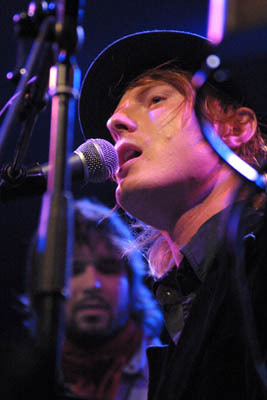 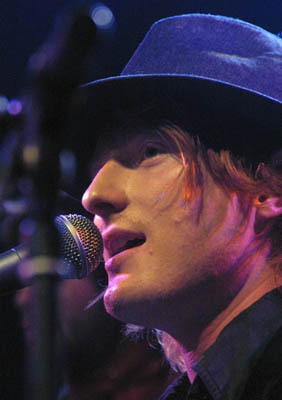 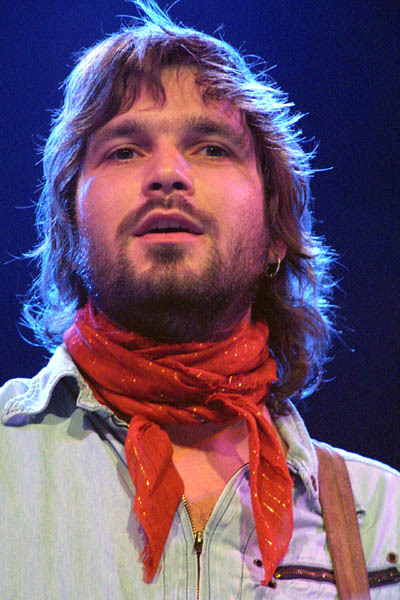 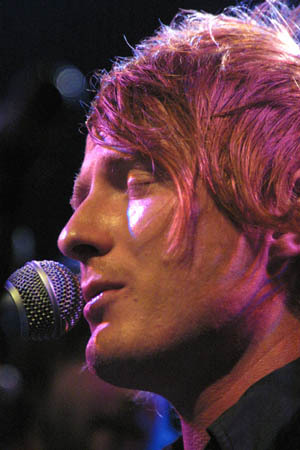 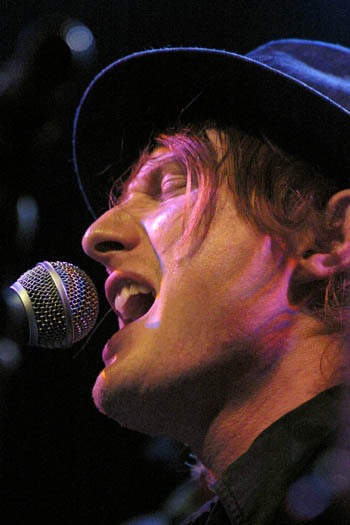 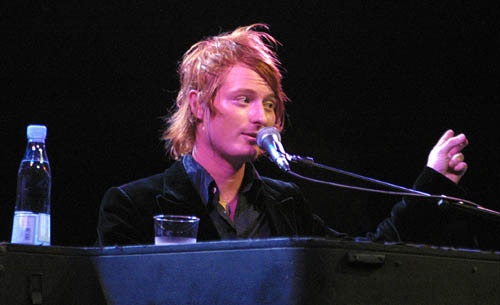 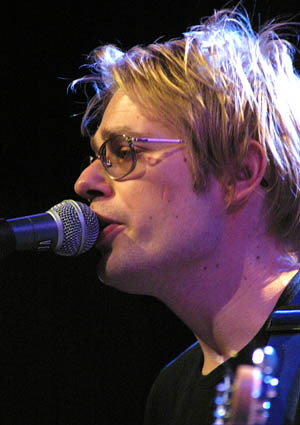 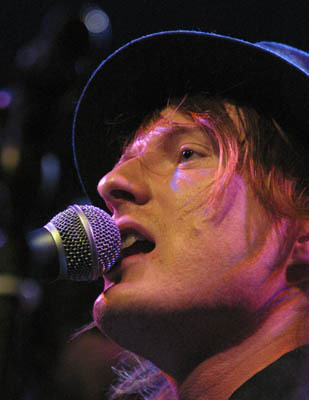 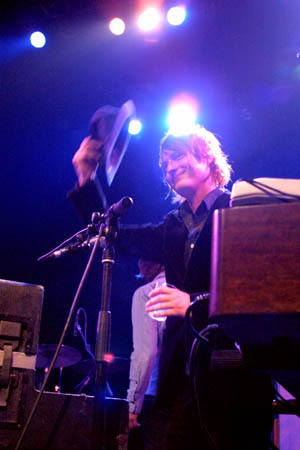 The natural focus was put on the charmíng lead singer, Tobias Buch, who gave the songs a personal touch, though the inspiration from David Bowie and John Lennon and other 1970's bands was obvious. 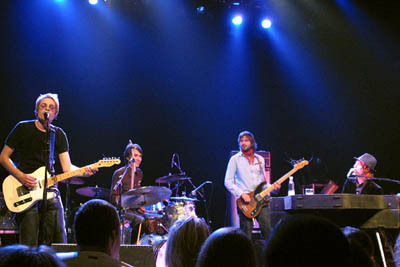 The brief set contained two new songs compared to the set list from Rust, but Crazy Blue remains my favorite, and I guess that it would make a proper option for a single release. 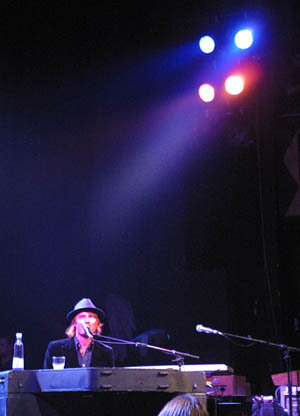 Maborosi is a suitable representative for the revival of the melodious rock tune fashion.